Kos is a Greek island. With a population of 33,388 people, it is the third largest of the Dodecanese (12 islands), by area. Kos is majestically blessed with incredible beaches and lush valleys. Tourist attractions on the Greek island include rustic mountain scenery, an ancient healing centre, Asklepieion and crystal clear water. Cheap flights to Kos are now available for a limited period of time, so get ready to be amazed by this island treasure! Kos is home to Kos Island International Airport (KGS), which is located a short three minute drive from the city centre. 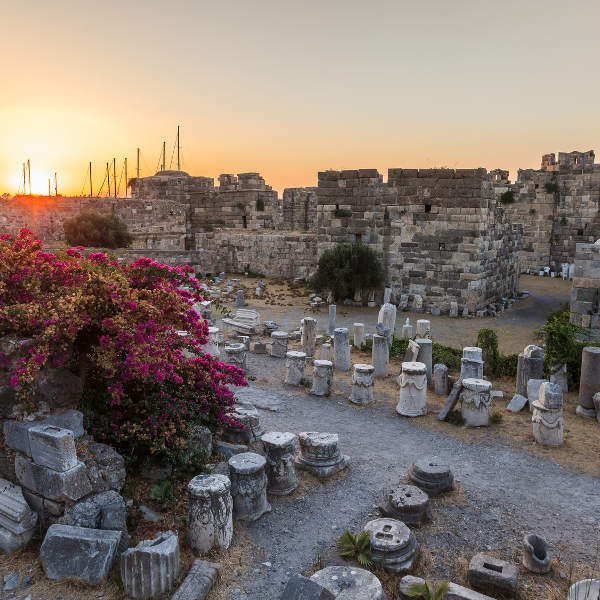 Discover the island’s most prized ancient site, Asklepieion. The religious sanctuary was once a healing centre and a school of medicine. At the entrance of the harbour lies a regal 14th century fortress. Take a trip back in time as you gain sight of the castles which include Antimachia. The first town ever laid out in blocks, impressively in the 4th century BC. You are still able to recognise the original town plan. The sunny island is influenced by the Mediterranean climate. The warmest month has an average temperature of 22 °C. With July being the hottest, reaching 30 °C, the ideal time to visit would be during these golden sunshine filled months. Beaches can be enjoyed from June to September. 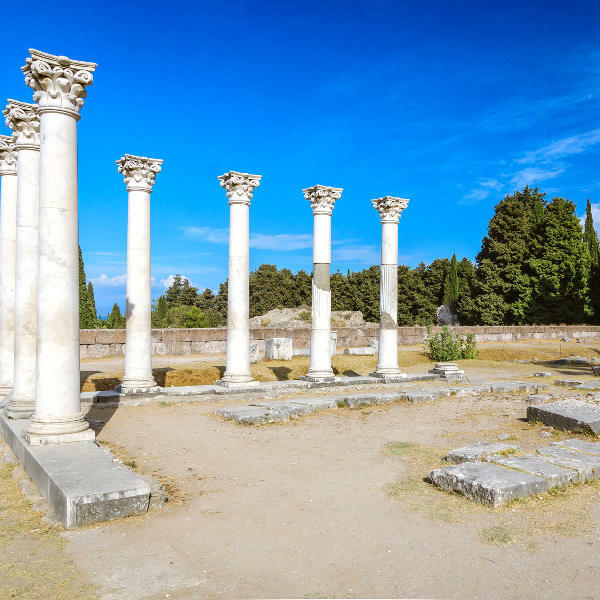 May is the best time to visit the ruins of ancient Greece or the Middle Ages, as it is much cooler for walking and exploring the island. The Greek island is a destination with astrologolical history which tells of modern man. Ancient sites boast incredible architecture that give clues of life in the early centuries. The island has contrasting imagery of old Greek remains and cosmopolitan scenery. Women in Kos often make local recipes including pitarridia (lasagne which is boiled in meat broth) and katimeria (twisted fried cheese pie with mizithra cheese). These dishes are made by the dozen and can be eaten at large religious celebrations. Beach life is what the island is known for, the golden sandy beaches will enchant you with the spectacular Mediterranean views. Compare several airlines, and book your cheap flights to Kos online with Travelstart! Health preparations for your trip help to protect you against illness. Vaccinations for Hepatitis B is required. A rabies shot is not mandatory but it is encouraged. 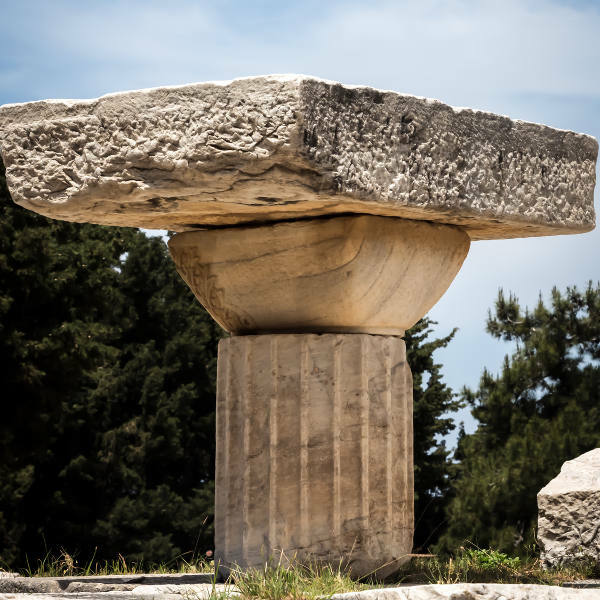 Ensure that your routine shots are up to date before departing for Greece. The vaccinations include diphtheria, pertussis, tetanus, D.P.T. vaccine which covers measles, mumos and rubella. The island is a safe destination with very little crime incidents. However, it is always best to be vigilant when it comes to your valuables. Do not carry big amounts of cash on you when you are in public places. Be sure to know where your bag is at all times. It is not new for opportunistic thieves to take advantage of unsuspecting tourists. This can happen anywhere around the world.